More than a million people have registered to vote in the forthcoming EU referendum during an awareness campaign by the Electoral Commission. The public awareness campaign was launched three weeks ago and ends today (Tuesday) when registration for voting in the referendum closes at midnight. Among the different strands of the campaign was a partnership with Twitter, in which the commission and the social network launched the hashtag #EURefReady, which Twitter users can tweet to encourage their followers to sign up. So far, 1.35 million additional voters have registered during the period of the campaign, with the highest single number registering last Friday (3 June), when nearly 190,000 people signed up to cast their vote. The Electoral Commission said under-25s and 25- to 34-year-olds had signed up in the greatest numbers, with more than 760,000 registering to vote. Today could also see a late surge after the Electoral Commission revealed that nearly 500,000 people signed up to vote on the deadline for last year’s general election. 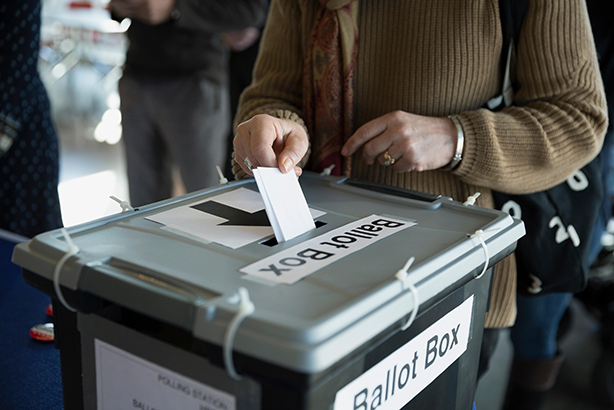 Research ahead of its campaign showed the uphill battle the Electoral Commission faced in raising awareness, with a third of eligible voters unaware that the referendum was taking place at all and a quarter not knowing that they had to register to vote. At last May's general election, nearly 31 million people - or 66.1 per cent of the electorate of 46.4 million - turned out to vote.